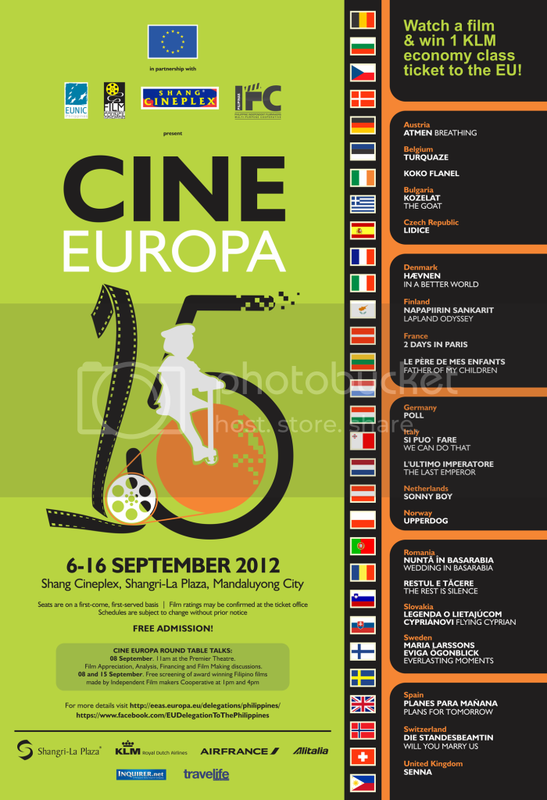 Cine Europa on it's 15th year has just got bigger! With multiple locations throughout the country, more people can enjoy and learn more of Erope's culture through film. Thanks to its partnership with the Film Development Council of the Philippines Cine Europa has increased its number of venues from three to six! As of now the festival is running at the Shangri-La Theater ( 6 to 16 September) who is known for supporting initiatives like these. Here are the schedule for the other venues so you can catch them. FDCP Cinemateque, Iloilo (18 to 21 October). Today I watched a short film from France called "Cuddles in the Kitchen" which due to technical difficulties was shown thrice, followed by full length film starring Adam Goldberg called 2 Days in Paris. It was so hilarious that the cinema house was full of laughter! You can still catch the remaining movies up until the 16th at the Shang so be sure to watch a movie or too. And by the way have I said that this is for FREE!? Just come early as seats are on a first come first serve basis. here's the schedule of movies to be screen for the rest of the screenings.